A.W. Lymn is a family-run funeral director firm serving bereaved families from Aspley, Strelley, Kimberley, Nuthall and other communities around the Nottingham area. Lymns have a very professional approach. The funeral went very smoothly. We received an excellent service. Our Aspley branch is located at Rose House, on Nuthall Road, and was opened in September 2000. 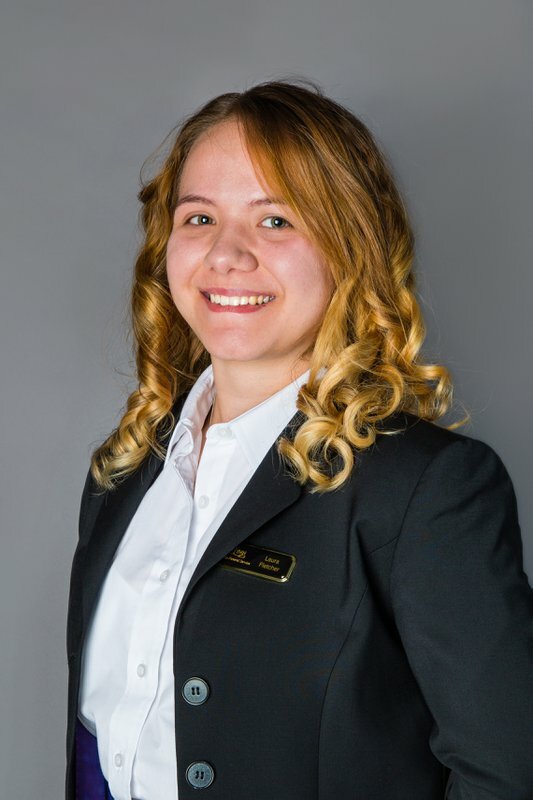 The office is managed by our funeral arranger Laura Fletcher and senior funeral director Julia Carty, who will make sure you and your family are well taken care of. Our Aspley office features public rooms, private family rooms, visitation rooms and cold room facilities. This branch covers all of Aspley and its surrounding areas, such as Basford, Bulwell, Bilborough, Hyson Green, Kimberley, Nuthall, Radford, Strelley and beyond. The opening hours are from 9 am until 5 pm, from Monday to Friday but as with all of our offices, you can arrange an appointment with us at any time to suit you, any day of the week. Our telephone number is available from Monday to Sunday, 24 hours a day. 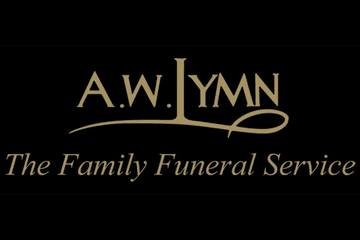 The Lymn Rose family has managed A W Lymn The Family Funeral Service since its establishment in 1907, when it was founded by Arthur William Lymn. Nowadays, his descendants Nigel, Matthew and Jackie Lymn Rose continue making sure all families have the best service in difficult times. It was an honour to serve you throughout this difficult time and I thank you for kind words and 5* rating. Thank you, Laura. I would like to thank you for your kind words. It was my pleasure to serve you throughout this difficult time and I am glad that I was able to make the arrangements trouble free for you. Thank you, Laura. I would like to thank you for your kind review. You were so lovely and it was such an honour to serve you during such a difficult time. I am also glad that the funeral was just as your Dad would have wanted. Thank you, Laura. I really appreciate your kind words and you taking the time to leave this review, thank you. Laura. We are glad that both Laura and Richard made this sad event more comfortable for you and that you were satisfied with the service you received throughout. Thank you. Everything was just perfect. A very special thank you to Laura Fletcher. Full of humour when required but also compassionate when needed. Totally dedicated and utterly professional. I can't praise her enough. We are pleased that Laura offered a balance of humour, compassion and professionalism during the arrangement process and that everything was perfect for you on the day. Thank you. Mr. Newman. Thank you for your kind comments. It was Laura's hard work in advance of the day that made things run so smoothly, and my privilege to oversee the service itself. With thanks. Very pleasant and helpful at all times with regard to the arrangements. It all proceeded very smoothly on the day of the funeral. Many thanks. Thank you for your kind words, it was my pleasure to serve you throughout this difficult time. Laura. We would like to thank all the team on our recent loss who were very professional and very caring and treated us with the upmost respect which we found absolutely beautiful. Laura the lady who booked everything with was fantastic and made the process very easy for us. You deserve more than 5 stars ⭐️ .Thank You all once again. John and Wendy Foster. Thank you for this wonderful review. Laura has asked me to pass on that is was an honour to have helped such a lovely family during their difficult time and she is glad that her support made things a little easier for you. Thank you. Very professional service. Very helpful throughout. Would highly recommend. We are pleased that you received professional helpful service from Laura and her team at Aspley, and would thank you for your recommendation. Nigel has also asked me to pass on that it was a privilege for him to be involved in the funeral of a member of staff's family. Thank you. Laura Fletcher is an absolute credit to your company. From start to finish she made this unpleasant task, bearable to complete. Her professional and caring manner was a true support for our family. All requests were met with compassion and at times shared laughter. The floral tribute and Order of Service were fantastic !!! Steve Wakeling who led the Service, delivered the words expressed by the family in a professional and friendly manner. Many members of our family and friends actually commented "Dad would have been proud and it was, in fact, a lovely day" THANK YOU TO ALL MEMBERS OF THE LYMNS TEAM. I am touched that you have taken the time to write such a lovely review. I am so pleased you liked the bespoke floral design and the orders of service, the fish really did look amazing! You are a truly lovely family and I am honoured to have served you throughout such a difficult time. Thank you, Laura. Thank you for taking the time to leave this lovely review. It was my honour to serve you during such a difficult time and I am so pleased that I helped you to create a perfectly unique celebration of life for your daughter. We had an excellent service from Lymns after our father passed away recently. The whole of the team were helpful, thoughtful and caring and helped us through everything. We would strongly recommend them to others. Thank you for your high appraisal and recommendation. We are pleased that the help and care provided by Laura and Richard offered you support during this sad time. Very happy with them. Everything dealt with in a kind and considerate way but also professional. We are pleased that you found Laura and her team to be kind, considerate and professional and are glad you were very happy with everything that was done for you. We do note your 4* rating and if there is anything further we could have done then we would welcome this feedback so we can continue to improve the service we offer. Thank you. Thank you for your kind words, it was an honour to look after you and your family during this sad time. Laura. Thank you for your kind comments, particularly in regard to the support and cultural awareness provided by Laura. I am sorry that it was such a difficult day for Dad and I am only pleased that having plenty of time helped ease the burden. Thank you. Thank you for your kind words, we are pleased that everything was looked after for you and that you were treated with respect. I couldn't of asked for better Collin would of loved the old classic bus. We are pleased that the addition of our Routemaster Bus helped make the funeral more personal for Colin and we thank you for this kind review. Thank you so much all that you have done Excellent service, very professional, !! Both Laura and Tony join me in thanking you for your kind words and they are pleased that they provided excellent professional service throughout. Thank you for your kind review, we are pleased everything was managed well and that your received professional service from Laura and her team. Very efficient and kept in contact throughout. Laura was very friendly and helpful and was very thorough going through all details to ensure everything was just as mum would of wished. Thank you to all staff you were all wonderful. We are pleased you found Laura to be efficient, friendly and helpful throughout and are glad that the service was just as your mum would have wished. Thank you. Thank you for taking the time to leave this positive review about Laura and the service she offered. First class services . Caring & compassent at all times . Thank you for your first class review of the caring and compassionate service offered by Laura and Jackie at Aspley. From the initial meeting with Laura to the final arrangements the family couldn't have asked for a better send off for our brother. The funeral was organised professionally, but more importantly with compassion, and at all times consistent with ours and late brothers wishes. Thank you for your kind words, we are pleased that Laura listed to your wishes and helped you create a service that was as your brother wanted. A.W. Lymn Aspley will provide you with a free obituary as part of their service.